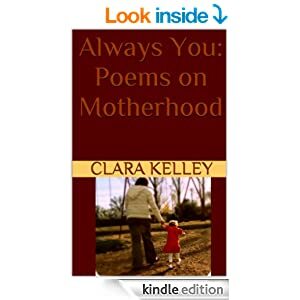 I recently ordered a Kindle copy of fellow blogger Clara Kelley's book of poems, Always You: Poems on Motherhood. It was only $2.99, and I love poetry, so I thought it was a real steal. I LOVE it. Some of the poems are funny, others are more poignant. The dedication alone, "For my mother. Now I understand everything"-- is perfection. *(Pssst: She didn't ask me to write this post. I simply wanted to share it with my readers and to support her work). is the brevity of childhood? I think this poem beautifully captures that ambivalent, hopeful, sentimental-yet-exasperated feeling so many of us experience as we care for our young children each and every day. Clara's book is available on Amazon. Do you journal-- or write in another form-- to express your thoughts on Motherhood? Or is there another art you create as a way to explore your life as a mother? NOW Available: The new anthology I'm in, Only Trollops Shave Above the Knee! It's a collection of essays with lessons we have learned from our mothers.